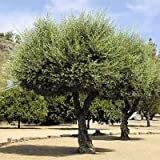 Olive tree seeds for sale – Easy plant to grow with edible fruits, mostly grown for the ornamental leaves and for tree structure, planting in spring, summer, autumn (winter can be in hardiness zone 11), better to buy plant or grafted or another option to start from seeds yet more challenging. 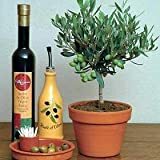 Olive tree seeds for sale – Is it recommended to buy Olive tree seeds or better to start with plant? 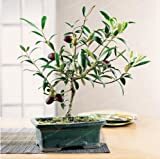 When it’s the season to sow Olive tree seeds? 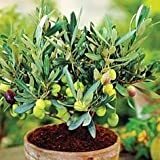 Olive tree seeds for buying it’s possible to start from seeds for some varieties but better to start with grafted plant or vegetative reproduction, it’s ensure that the fruit will be in good size and quality, season to sow Olive tree seeds in the early spring.